The USA Women’s basketball team’s sweep through the Olympics for its sixth straight gold medal was predictable but still a lot of fun to watch. 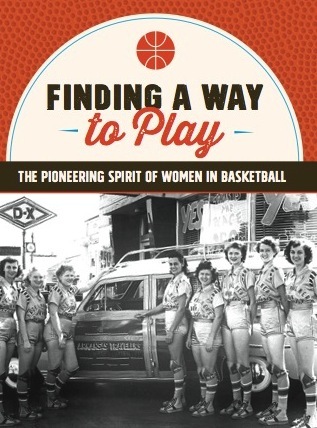 With Diana Taurasi and Maya Moore leading the way (with 15.6 and 12.0 points per game respectively), the American women averaged 102 points per game and held opponents to 64 points. But as the WNBA season resumes, and teams play their final 10 games between now and September 18, the games will be a lot less predictable and the margins of victory much slimmer on the way to a WNBA playoff berth. The two key players to watch down the stretch are not named Taurasi and Moore, by the way. 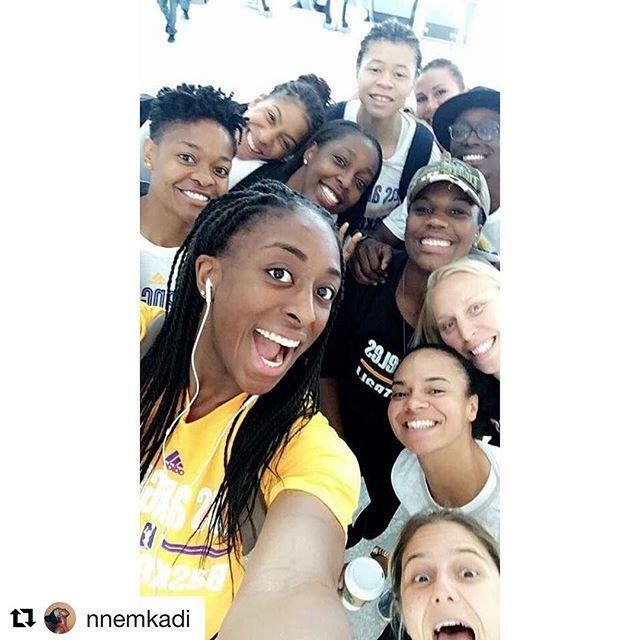 They are Nneka Ogwumike and Candace Parker of the Los Angeles Sparks, who failed to make it onto the Olympic team (much to the consternation of their fans and lots of women’s basketball pundits). At any rate, that oversight has given Ogwumike and Parker a month to rest up, practice with their team, and work on their individual games as they prepare for the home stretch of the WNBA season. The month also may have given Parker time to come to terms with the death of Pat Summitt, her long-time mentor, on June 28. Parker, who sat out the first half of the WNBA season last year because of fatigue from playing overseas (Taurasi sat out the whole 2015 season), is averaging 16 points a game, 7 rebounds, and 5 assists. Parker, a two-time Olympian, had to have been stunned (like the rest of us) when she found out that she wouldn’t be going to Rio with the Olympic team. But the Tennessee grad, who led the Lady Vols to the last two NCAA championships in the Pat Summitt era in 2007 and 2008, will be using that slight to motivate herself and her team in the next month. Ogwmike is leading the league in field goal percentage at a Wilt Chamberlain-esque 71 percent. She’s scoring 19 points per game and pulling down 9 rebounds. The Stanford grad was the WNBA co-player of the month in July (sharing the honor with the Liberty’s Tina Charles). In June, she made 23 consecutive field goals over a three-game stretch to help the Sparks start the season 10-0. The Sparks record is 21-3, while the Minnesota Lynx are just a half game behind at 21-4. The only other team with a solid winning record is the New York Liberty, which sits at 18-8. The next four teams (Chicago, Atlanta, Indiana, and Phoenix) are hovering around .500, while Seattle, Dallas, Washington, Connecticut and San Antonio will likely be vying to snag the last playoff spot. Lots of UConn fans wearing Breanna Stewart or Sue Bird jerseys are rooting for Seattle to get that last spot, but Washington and Connecticut, who have both beaten the Lynx this season, might be better bets. The Sparks and the Lynx have already clinched playoff spots and will both be getting byes into the semifinals in the new playoff format adopted this year. The third and fourth place teams will get byes into the second round, which like the first round, will be single elimination. The semifinals and finals will be best of five series with the fifth game (if necessary) going to the higher seed. Home court advantage isn’t likely to be much of a factor down the stretch or in the playoffs. The Sparks blew out the Lynx at Target Center in Minneapolis, 94-76, while the Lynx pulled out a win in Los Angeles, 72-69 earlier this season. The Lynx also lost a home game to the New York Liberty during a three-game losing streak in June. The Lynx and the Sparks will meet on Sept. 6 in Minnesota in an ESPN2-televised game that may well determine who gets the number one seed for the WNBA Finals come Sept. 18. All I can say is, bring it on!